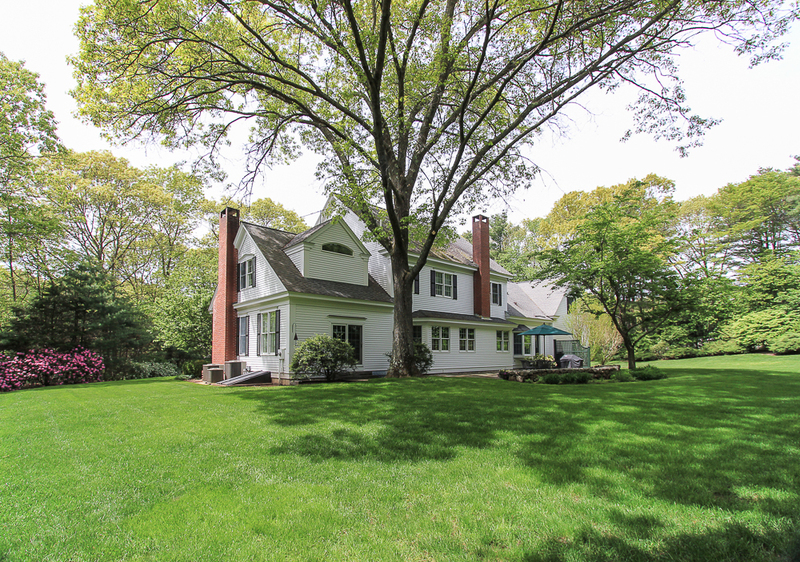 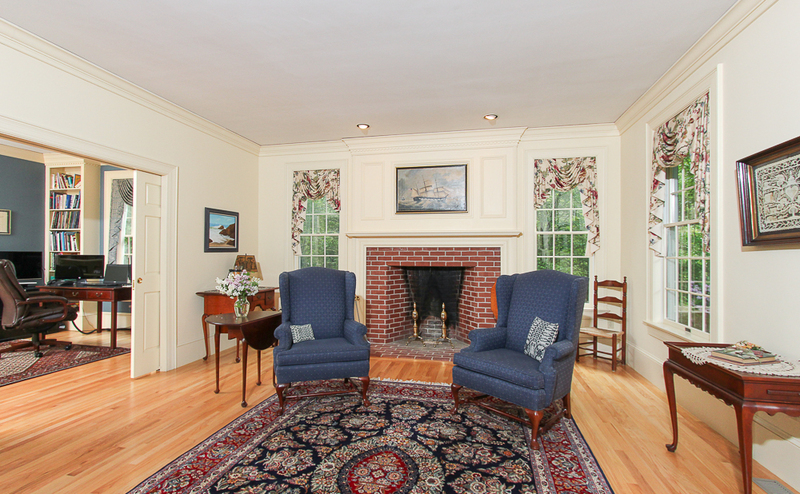 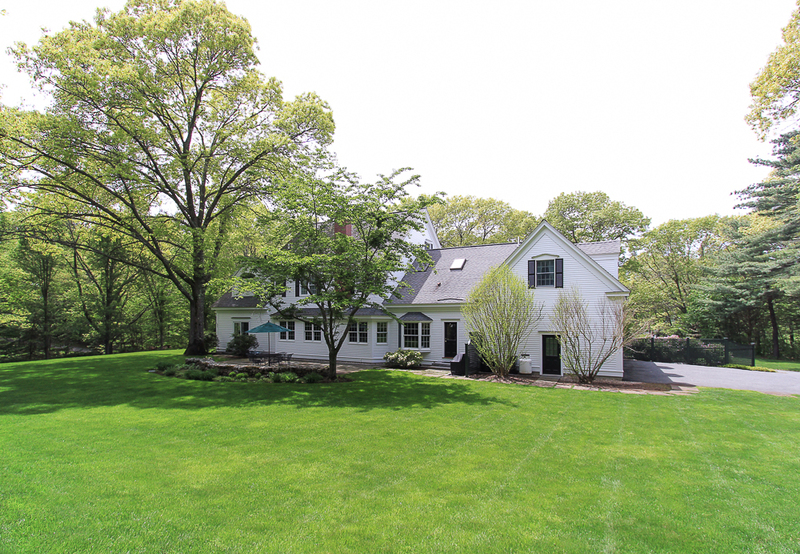 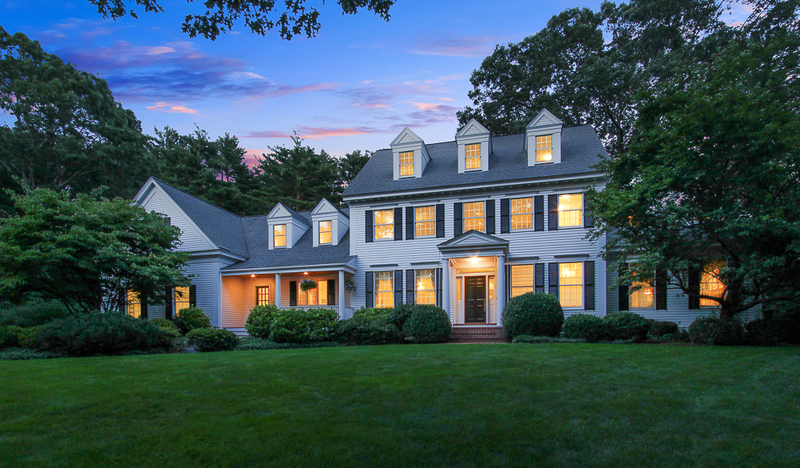 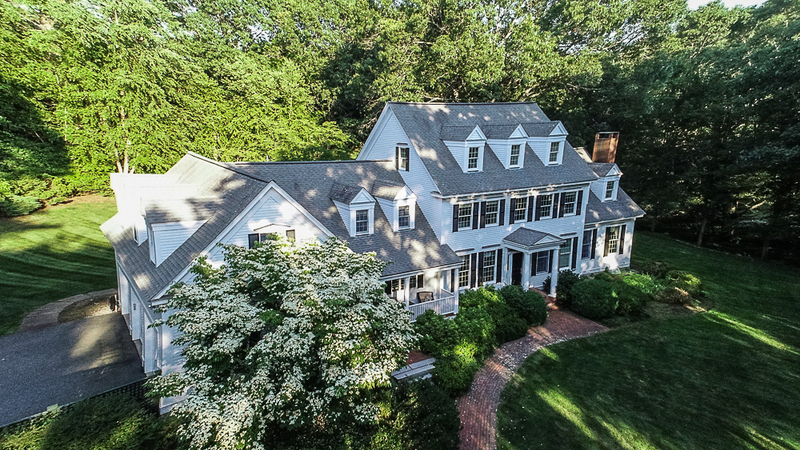 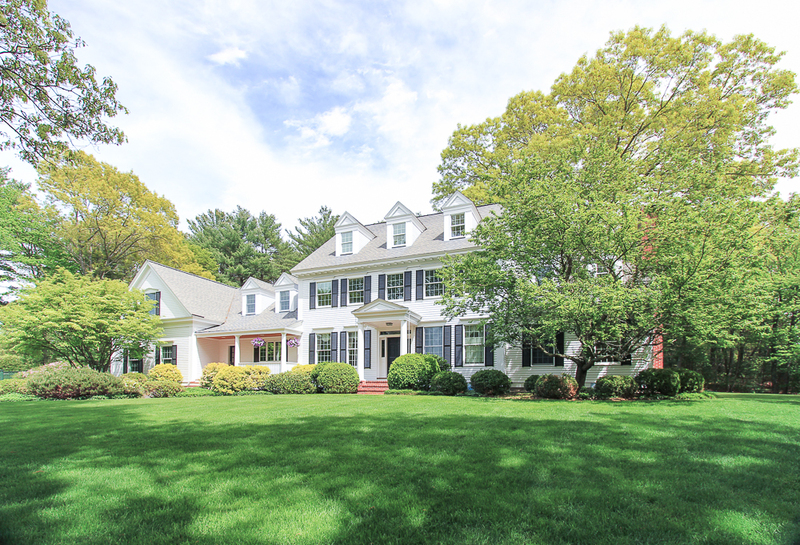 This well appointed colonial home sits prominently on 1.8 acres overlooking the attractive front yard and street below. 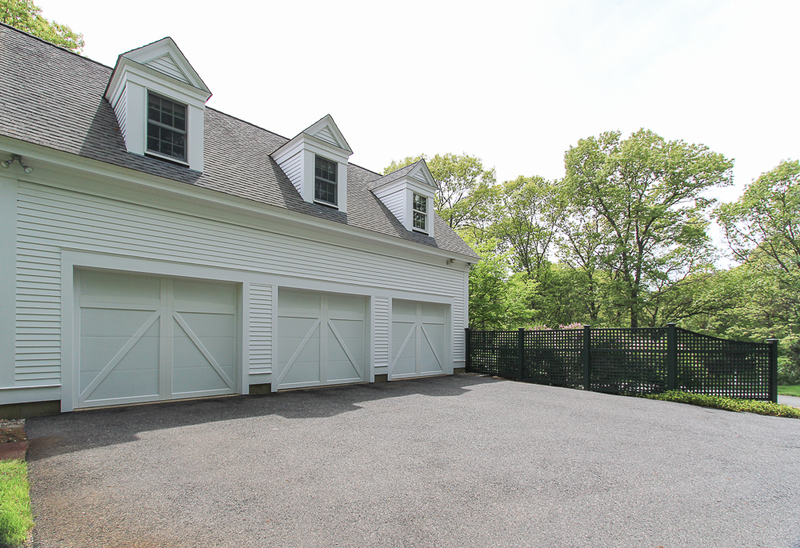 The drive up to the house welcomes you to a grand and meticulously maintained and presented home. 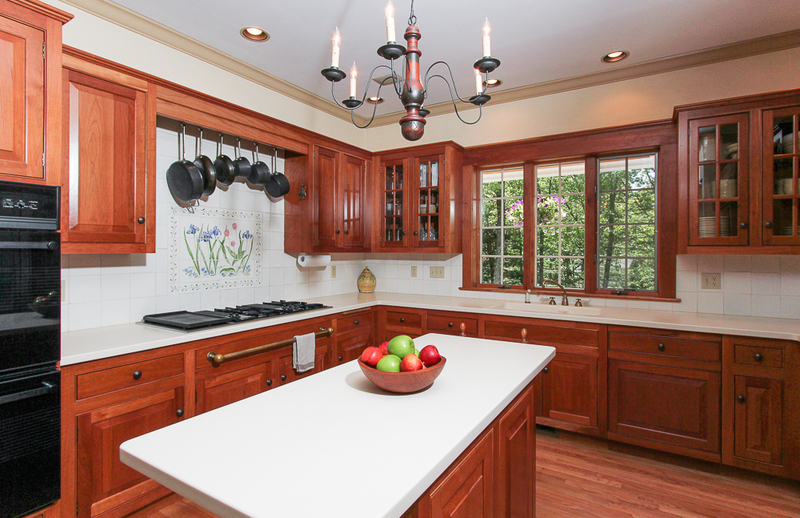 The splendid design offers many details attending to both aesthetics and function. 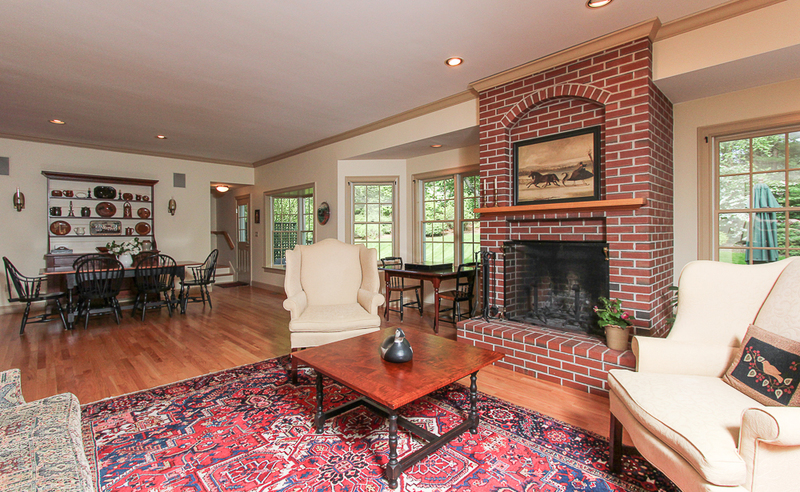 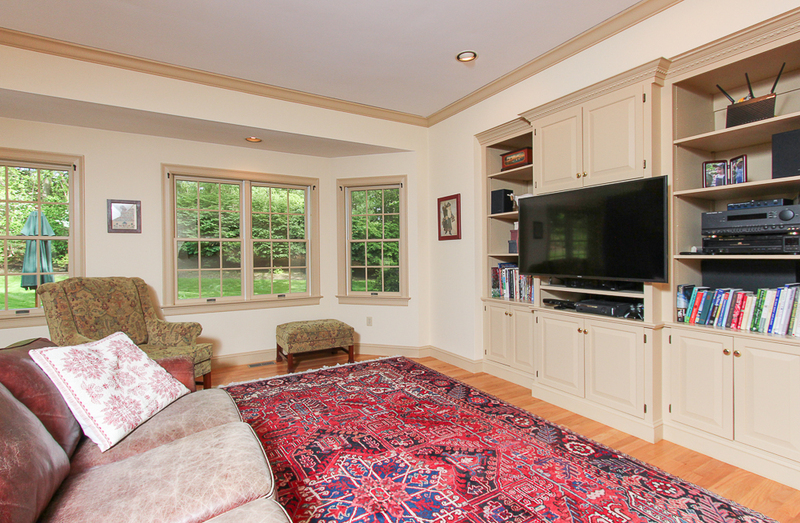 The center of the home has a large family room with multiple gathering spaces. 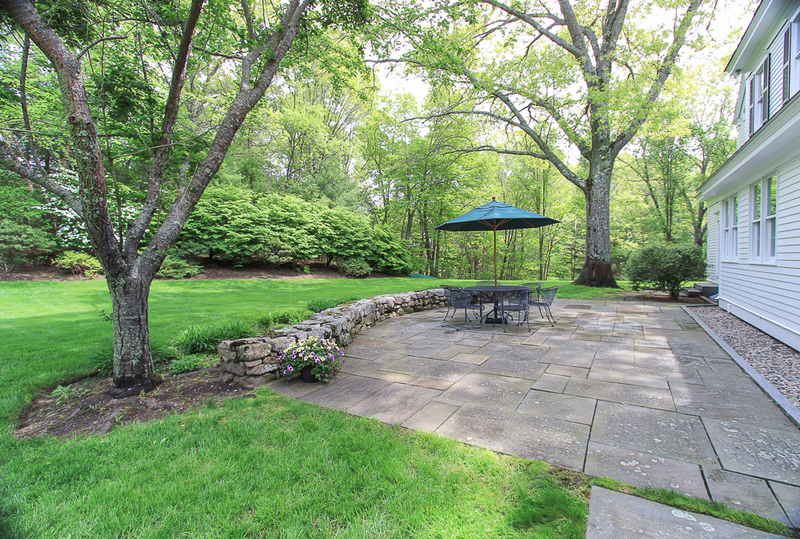 This room has a wood burning fireplace and looks out to the blue stone patio that’s edged with stone walls and surrounded by the private back yard. 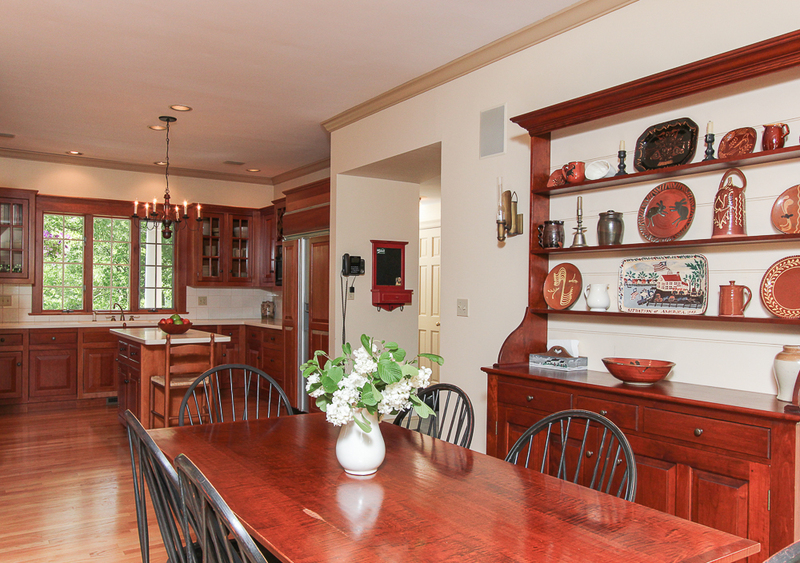 The kitchen is well designed sitting off the family room and spacious dining area, giving the ability to have uninterrupted work space while still being connected to what’s happening in the family room and kitchen dining area. 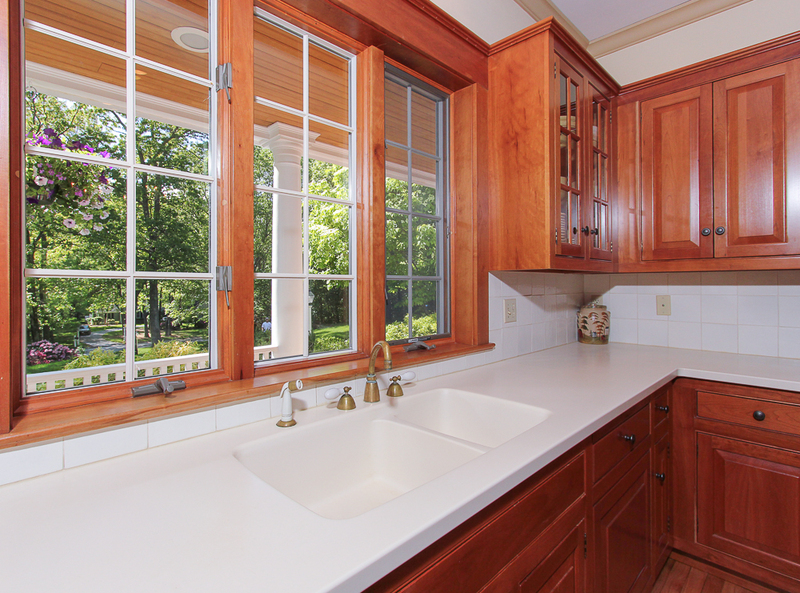 There are cherry cabinets, Corian counters, center island, gas cook top and a view to the front porch entry. 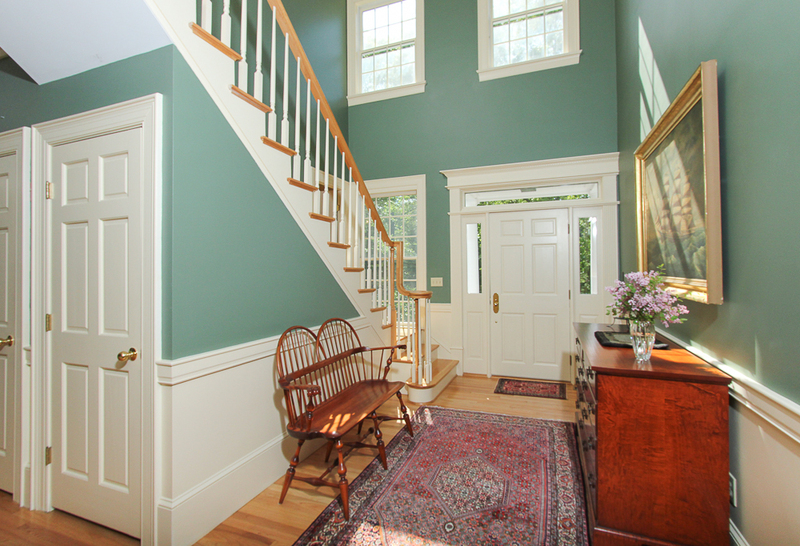 The central foyer is open and spacious, with afternoon sun that streams through the two story windows. 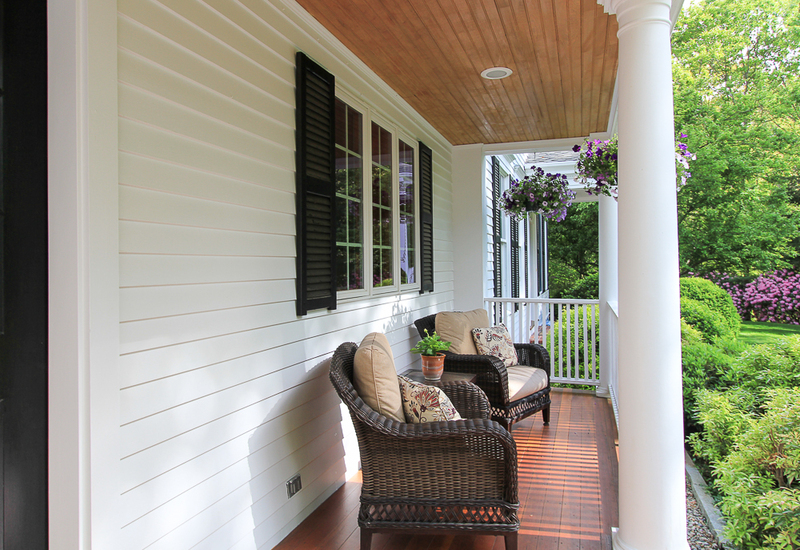 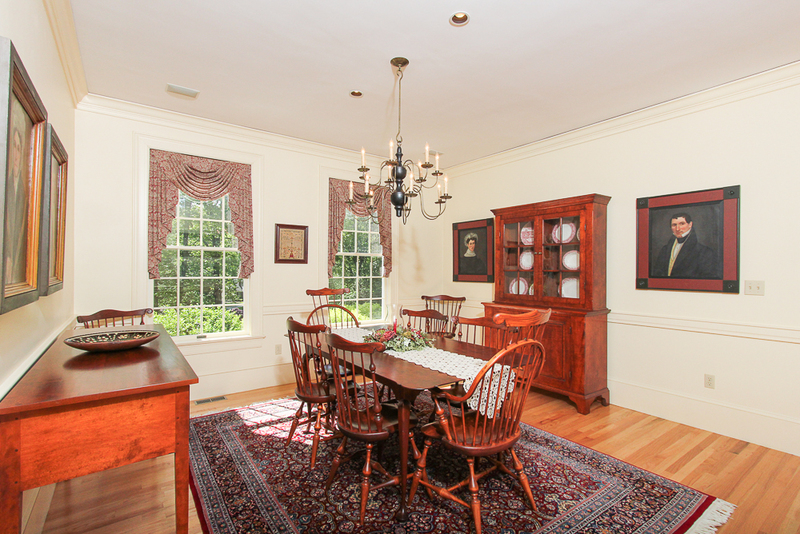 Each room connects smoothly with transom windows over the doorways, high ceilings and notable trim work. 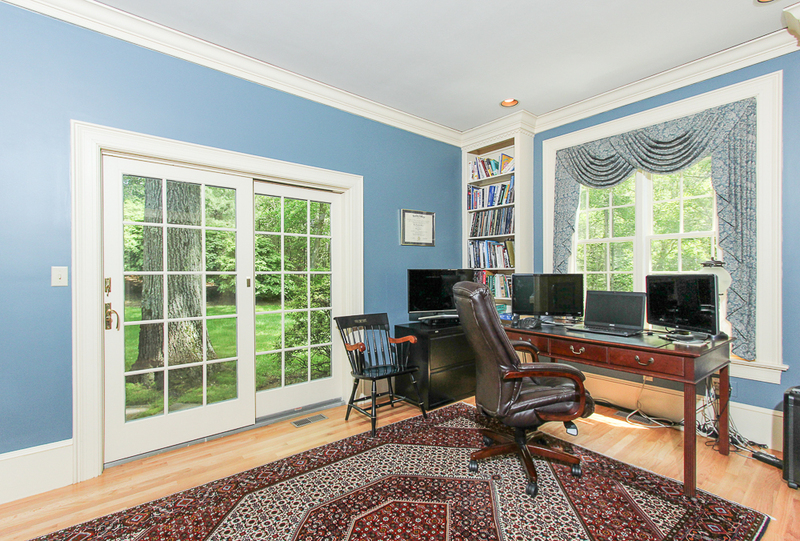 The large office/den is smartly located on the first floor on the opposite end of the house from the kitchen, and has ample built-ins and sliders leading to the yard and patio. 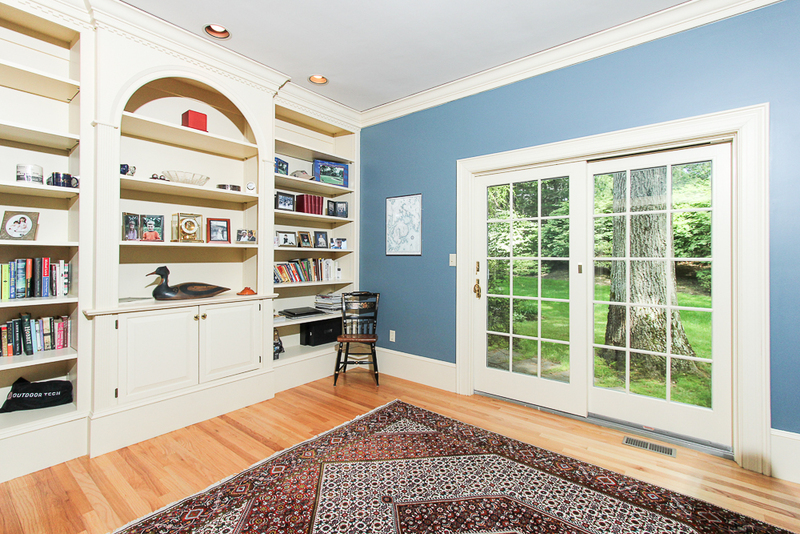 There is a good balance of both open and private space. 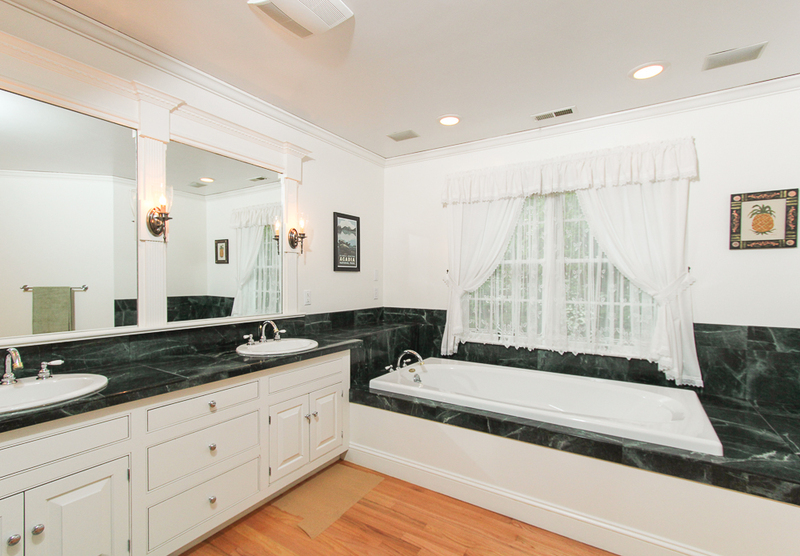 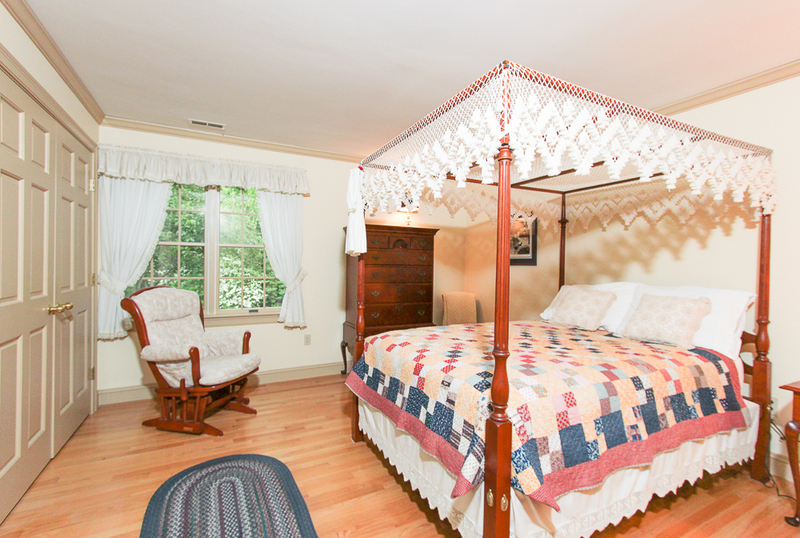 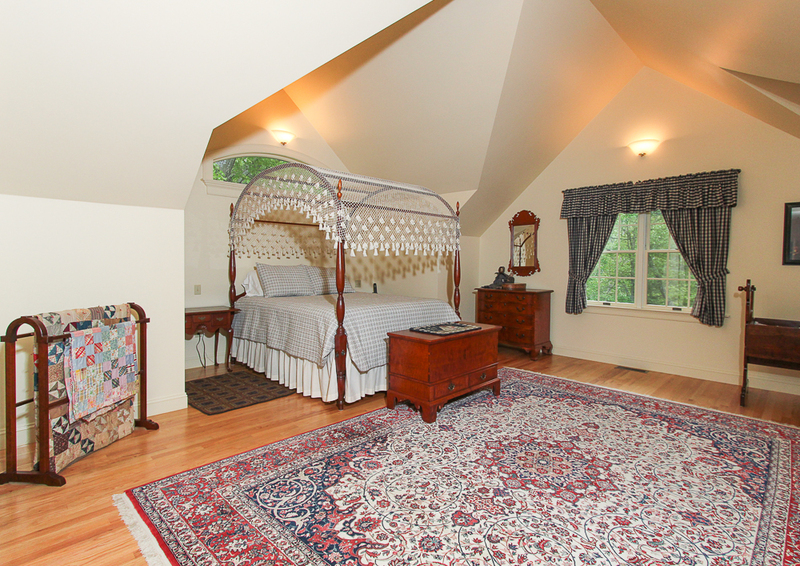 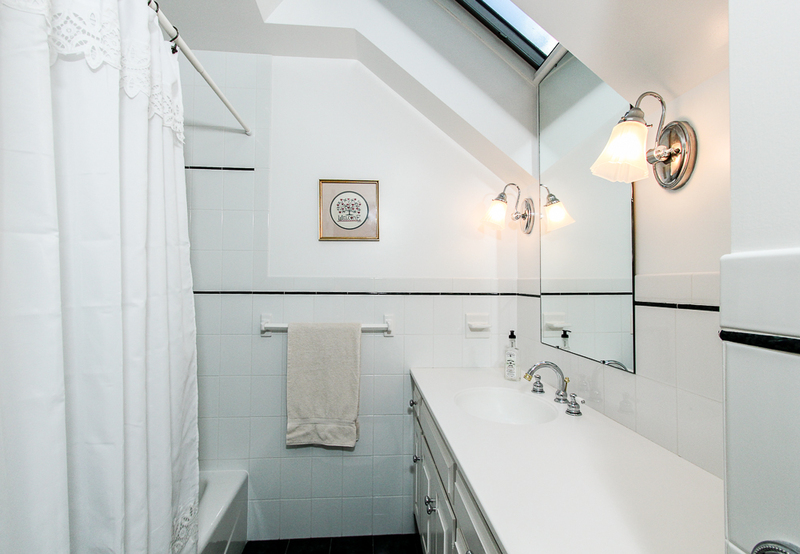 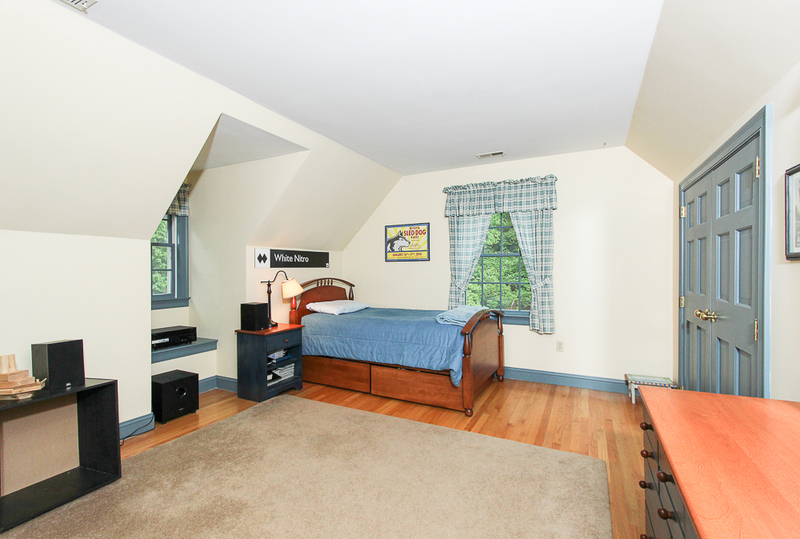 The second floor has five bedrooms, two ensuite, including the master. 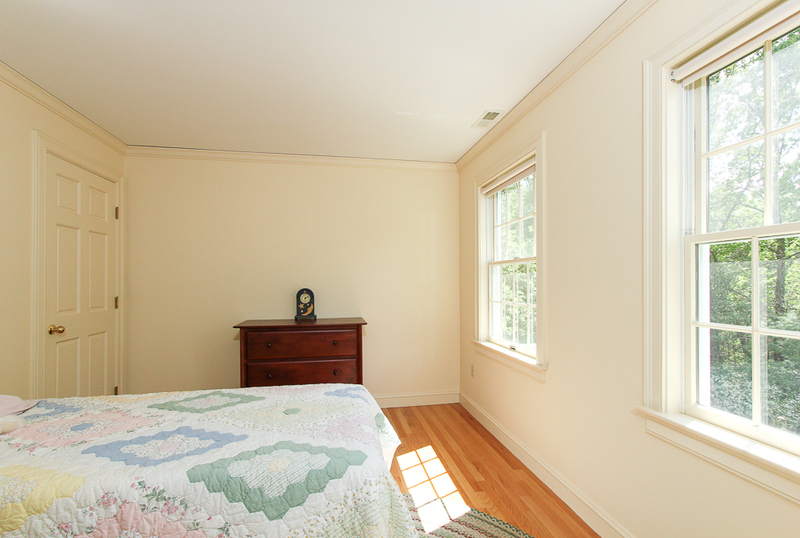 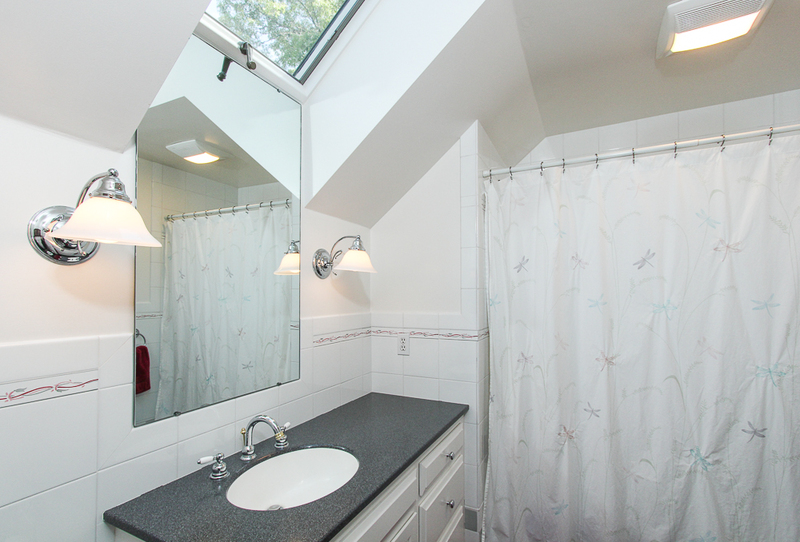 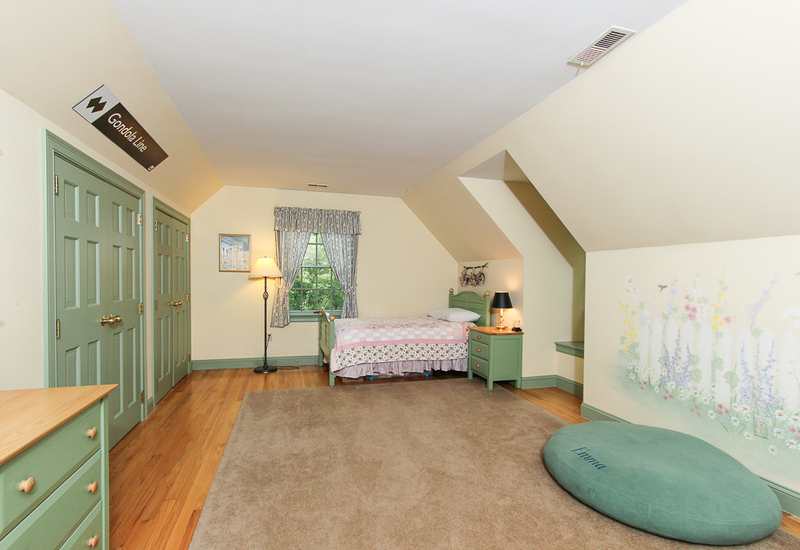 On this floor is a central bonus room and a full bath outside the bedrooms. 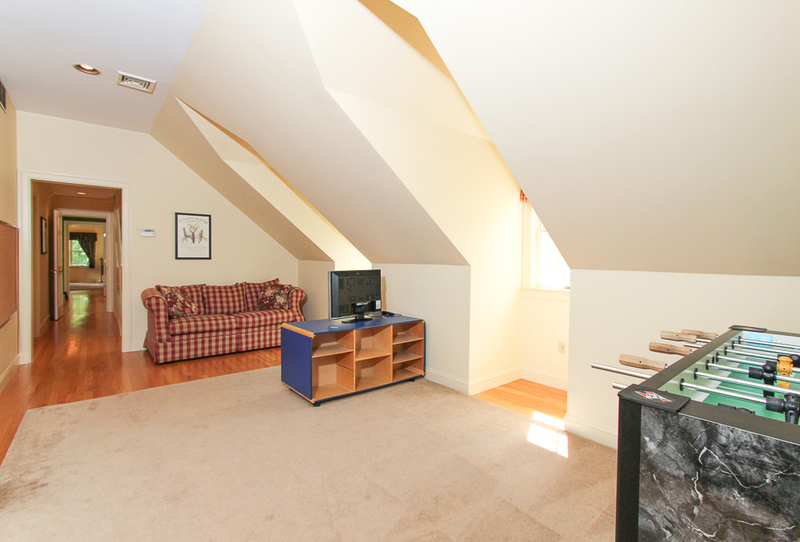 This room is currently used as a TV and game room, and has a second set of steps leading down to the kitchen and second half bath. 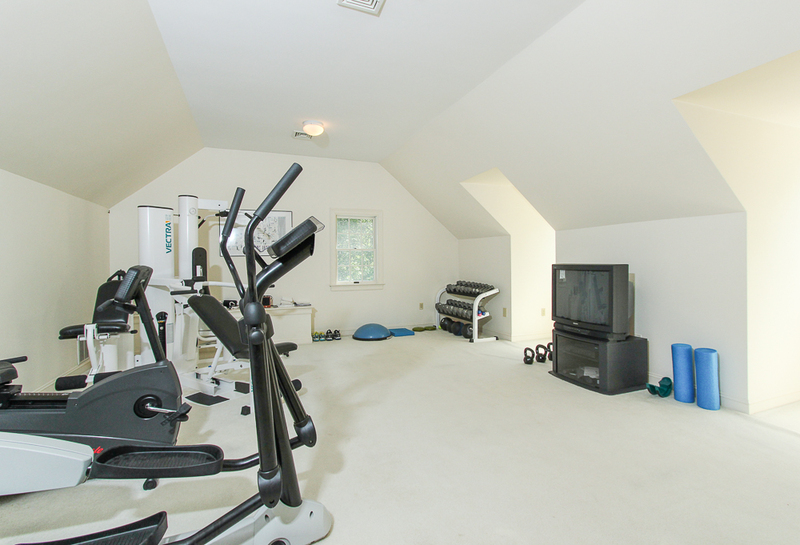 Further features include a third floor room, currently an exercise room , zoned central air conditioning, an attached three car garage, and separate well for the multi-zone irrigation system. 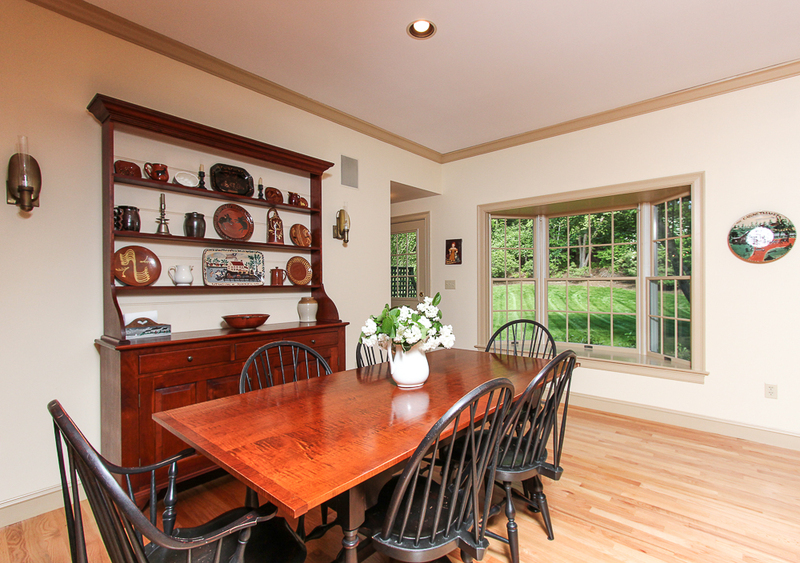 The condition of this home is impeccable. 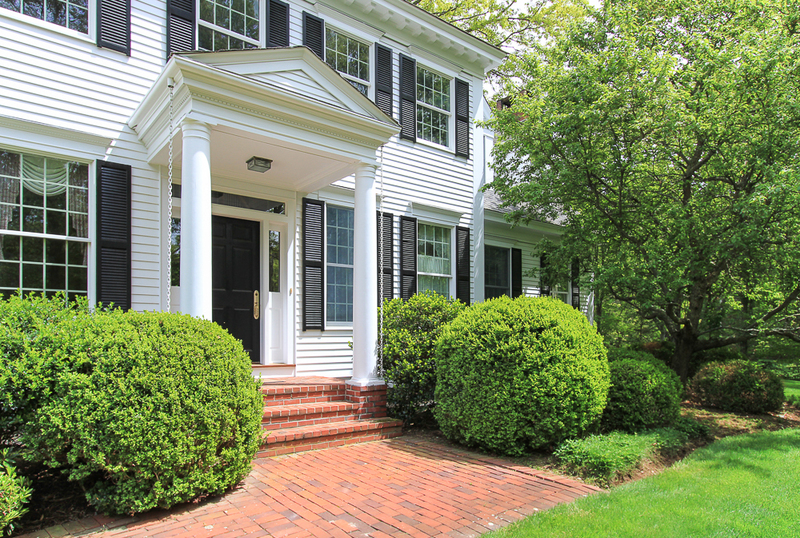 Located on Autumn Lane, a circular road, which is an neighborhood of beautiful homes that have older established trees and well designed landscaping. 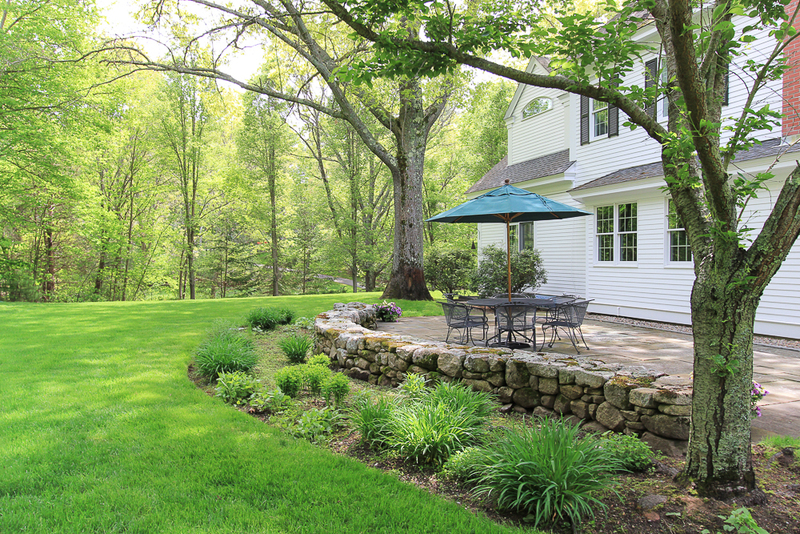 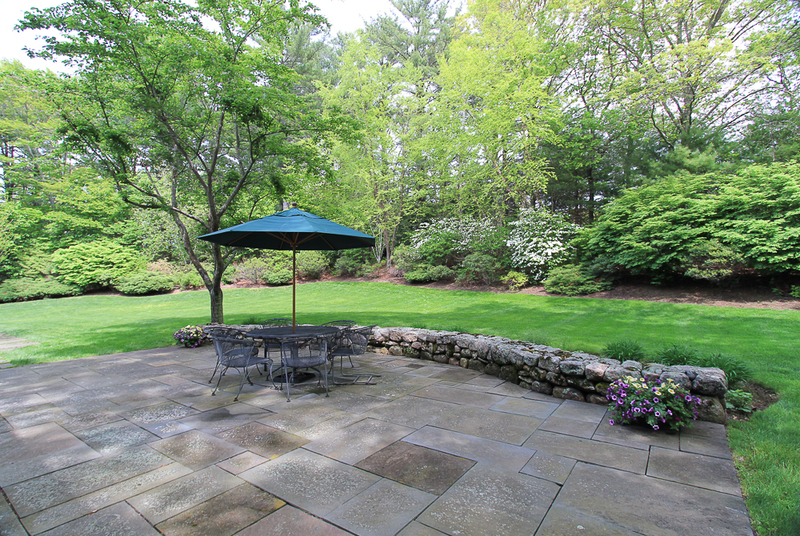 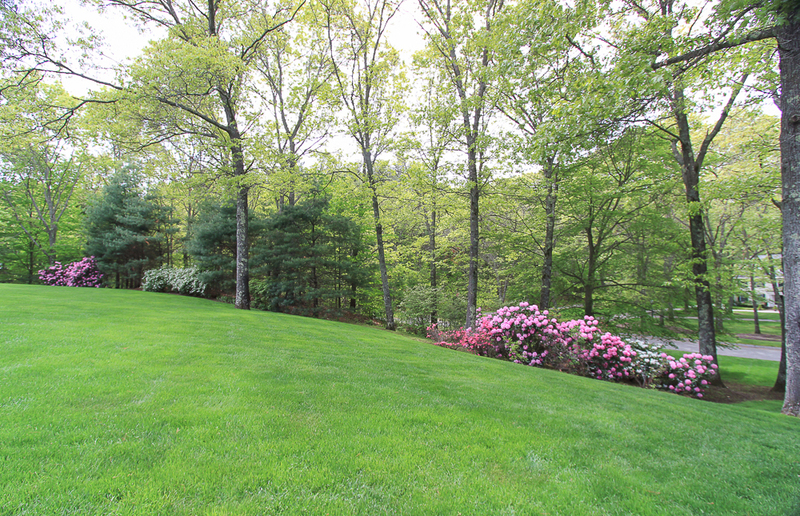 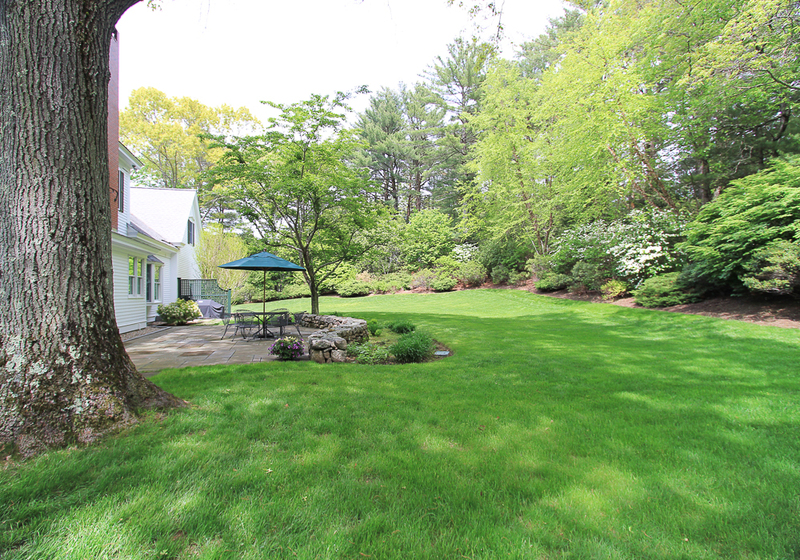 See the video tour for 45 Autumn Lane Hamilton, MA.